Haven't you got a little confused here Sean as the Shrimpton story to which you refer has nothing to do with either Tony Farrell or the 7/7 London bombings? As a Christian, Tony consulted his church minister, who suggested that he consider, whether the same might be true for the London 7/7 bombings? He then goes on to speak highly of Alex Jones with his compadres Charlie Sheen and Ventura as his main source for his findings. I see Methodist script which further moves this country onto the path of royal dissolvement of parliament for the total dictatorship, exactly what Gerrish under Larouche is perhaps unwittingly acting. Also very revealing comes in the fact he fails to name his superiors, both police and intelligence chiefs to whom he reported. I would head extreme caution with this script and remind you of the fact, Alex Jones is alive and kicking on the scene whereas lifeinthemix has been removed. Take note of the fact this church is very involved in Romania, we are looking at House of Windsor here. The Evangelical bloodlines who went over to nick the lands and those who were sent there as convicts to act as slave for the elites. I repeat: (1) what is Tony Farrell's conection with Munich? and secondly (2) what have Birdwell Methodists got to do with the house of Windsor? You appear to be making gigantic leaps of imaginative connection between one matter and another and this has the clear effect of dumbing down the discussion. Please answer the above two questions clearly and with references. What has Farrell brought to this story that we do not already know, and is this a move to have Farrell lead some kind of new move to capture the 77 story? Also if you look at the date for the tribunal Farrell has named for his case for unfair dismissal, September 2011, then if you take this man at his word then he will tie up the alternative radio and blogs for a quarter diverting attention. The Munich connection comes from the work of Larouche in Germany which is known to the truth movers, yet seemingly ignored, I place this as the script to keep all things fascist in the frame of Germany and away from the current incorporation of Britain because as you know well the masses have not connected the dots as to what fascism is, they are looking for jack boots and swastikas when it is a political strategy. Jones, Larouche, Gerrish, Icke amongst others are all in one way or another connected to the Evangelical Methodist construct, it is the Methodist construct that has taken over the entire Church of England which has it's Jewish twin Zionism, as overlord to Judaism, aka Christian Zionism. The connection is therefore Methodism. In answer to your second question, the Westminster Temple is the front for the Black Guelphs, aka the House of Saxa Coburg Gotha, Hess, Battenberg, Rothschild, de Medici, Thurn und Taxis, Orange and all underling families to which you are aware. Thus the Methodist construct 'is' the House of Hanoverian, it is their construct. I am sorry you feel I am shifting the discussion, but what I always aim to achieve is .....more discussion. As a starter; John D. Rockefeller picked up a young, so-called, Christian minister by the name of Dr. Harry F. Ward. Masonic penetration of churches began at the turn of the 20th century. Myron Fagan, in The Illuminati, tells how this effectual takeover was accomplished. According to Myron Fagan, at the end of the 19th century, Grand Orient Freemasonry deliberately sent Jacob Schiff son of a Reform Rabbi born in Frankfurt, Germany] to the United States to carry out four specific assignments. The first was to acquire control of America's money system. This was accomplished by founding the Federal Reserve System. The second was to find desirable men who, for a price, would willingly serve as stooges for THE great conspiracy. Once they were found they would be promoted to FEDERAL POSITIONS in the Congress, on the U.S. Supreme Court, and at all Federal agencies. The agency founded for grooming these men is the Council on Foreign Relations [CFR - that publishes a quarterly called Foreign Affairs]. The third was to create minority group strife throughout the nation, particularly between races. The National Association for the Advancement of Colored People [NAACP] was founded for that purpose. The fourth was to create a movement to destroy religion in the United States, with Christianity as the chief target. This became the task of the National Council of Churches (The Illuminati recorded by Myron Fagan on two cassette tapes in 1967). Jacob Schiff's background suited him ideally for his assignment in America. As Rabbi Antelman wrote: 'It was Jacob Schiff and his family who played a prominent role in developing the Reform and Conservative APOSTATE Jewish movements and who aided them at critical stages of their development in putting into action the demonic master plan to undermine ALL world religions. Fragmentation and divide and conquer were the order of the day" (Antelman, pp.26-27). According to Myron Fagan, Schiff was helped in his first three assignments by several anti-Semitic and anti- Christian Grand Orient Freemasons. Fagan details how Masonic money and power backed Jacob Schiff and established for the German House of Warburg a banking system in America, with J. P Morgan and John D Rockefeller as front men. Dr. Carroll Quigley, in Tragedy and Hope, concurs with Fagan (Carroll Quigley, Tragedy and Hope: A History of the World in Our Time [1966; Los Angeles: Angriff Press, 1974), p.5). As well does Rabbi Antelman (p. 26). Jacob Schiff, nearing death, did not have enough time to accomplish the destruction of the church in America, his fourth and final assignment. He selected Rockefeller to finance and direct an institution to that end. Fagan tells how young men were selected for the ministry and then taught how to dilute the Christian message: "The destruction of Christianity could be accomplished only by those who are entrusted to preserve it, by the pastors, the men of the cloth. As a starter, John D. Rockefeller picked up a young, so-called Christian minister by the name of Dr. Harry F. Ward. At the time, he was teaching religion at the Union Theological Seminary. Thereupon, in 1907, he financed him to set up the Methodist Foundation of social Service, and Ward's job was to teach bright young men to become so-called ministers of Christ and place them as pastors of churches. While teaching them to become ministers, the Reverend Ward also taught them how to very subtly and craftily preach to their congregations that the entire story of Christ is a myth, to CAST DOUBTS on the divinity of Christ, to cast doubts about the Virgin Mary. In short, to cast doubts on Christianity as a whole. It was not to be a direct attack, but much of it by crafty insinuation that was to be applied, in particular, to the youth in the Sunday Schools. "Then, in 1908, the Methodist Foundation of Social Service changed its name to the Federal Council of Churches. By 1950, the Federal Council of Churches was becoming VERY SUSPECT as being a Communist front, so they changed the name to the NATIONAL COUNCIL OF CHURCHES. From this was created the World Council of Churches" (Myron Fagan). The communist activity of this Masonic front did not cease with its many name changes. Reader's Digest, January 1983, documents that both the National and World Council of Churches have funded communists AND terrorists. "But the conspirators had to have a war. They had to find or create some kind of an incident to launch it. They found it in a little inconspicuous and repulsive little man who called himself "Adolf Hitler." Hitler, an impecunious Austrian house-painter, had been a corporal in the German army. He made the defeat of Germany into a personal grievance. He began to "rabble-rouse" about it in the Munich, Germany area. He began to spout about restoring the greatness of the German Empire and the might of the German solidarity. He advocated the restoration of the old German military to be used to conquer the whole world. Strangely enough; Hitler, the little clown that he was, could deliver a rabble-rousing speech and he did have a certain kind of magnetism. But the new authorities in Germany didn't want anymore wars and they promptly threw the obnoxious Austrian house-painter into a prison-cell. "Aha! Here was the man, decided the conspirators, who, if properly directed and financed, could be the key to another world war. So while he was in prison; they had Rudolph Hiss and Goering write a book which they titled: "Mein Kampf" and attributed the authorship to Hitler; exactly as Lipdenoff wrote: "Mission to Moscow" and attributed the authorship to Joseph Davies; then our ambassador to Russia and a stooge of the CFR. In "Mein Kampf;" the Hitler pseudo-author outlined his grievances and how he would restore the German people to their former greatness. The conspirators then arranged for a wide circulation of the book among the German people in order to arouse a fanatical following for him. On his release from prison (also arranged by the conspirators); they began to groom and finance him to travel to other parts of Germany to deliver his rabble-rousing speeches. Soon he gathered a growing following among other veterans of the war, that soon spread to the masses, who began to see in him a saviour for their beloved Germany. Then came his leadership of what he called "his brown-shirt army" and the march on Berlin. That required a great deal of financing; but the Rothschilds, the Warburgs, and others of the conspirators provided all the money he needed. Gradually Hitler became the idol of the German people and they then overthrew the Von Hindenburg government and Hitler became the new F¸hrer. But that still was no reason for a war. The rest of the world watched Hitler's rise but saw no reason to interfere in what was distinctly a domestic-condition within Germany. Certainly none of the other Nations felt it was a reason for another war against Germany and the German people were not yet incited into enough of a frenzy to commit any acts against any neighboring nation; not even against France; that would lead to a war. The conspirators realized they would have to create such a frenzy; a frenzy that would cause the German people to throw caution to the winds and at the same time; horrify the whole world. And incidentally; "Mein Kampf" was actually a follow-up of Karl Marx's book: "A World Without Jews." "The conspirators suddenly remembered how the Schiff-Rothschild gang had engineered the pogroms in Russia which slaughtered many, many thousands of Jews and created a world-wide hatred for Russia and they decided to use that same unconscionable trick to inflame the new Hitler led German people into a murderous-hatred of the Jews. Now it is true that the German people never had any particular affection for the Jews; but neither did they have an ingrained hatred for them. Such a hatred would have to be manufactured so Hitler was to create it. This idea more than appealed to Hitler. He saw in it the grisly gimmick to make him the "God-man" (christ) of the German people (with his self-proclaimed 1,000 year rule - Revelation 13:11-18 ). "All this created a new world-wide hatred for the German people but it still did not provide a cause for a war. Thereupon Hitler was incited to demand the "Sudetenland"; and you remember how Chamberlain and the then diplomats of Czechoslovakia and France surrendered to that demand. That demand led to further Hitlerian demands for territories in Poland and in the French Czar territories and those demands were rejected. Then came his pact with Stalin. Hitler had been screaming hatred against communism (Oh how he ranted against communism); but actually nazism was nothing but socialism (national-socialism - Nazi), and communism is, in fact, socialism. But Hitler disregarded all that. He entered into a pact with Stalin to attack and divide Poland between them. While Stalin marched into one part of Poland (for which he was never blamed [the Illuminati masterminds saw to that]); Hitler launched a "blitzkrieg" on Poland from his side. The conspirators finally had their new world war and what a horrible war it was. The Methodist Church is a complete construct formed in all things corporate, it is the construct which shifted and perfected the Reformation in the image of the Babylon contract system, and wait for it...they do this for Jesus. Take note of the welcoming symbols to each side of the door, yet what you cannot see are the other four around the portico ensuring there is no mistake that you know what you are entering. 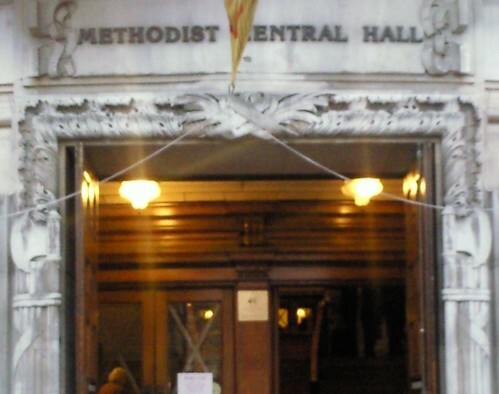 On 1 November 2003, the Archbishops of Canterbury and York and the General Secretary of the General Synod , together with the President, Vice President and Secretary of the Methodist Conference signed the Covenant at Methodist Central Hall, Westminster, in the presence of the Queen. The ceremony continued at Westminster Abbey with a short service of thanksgiving and dedication. 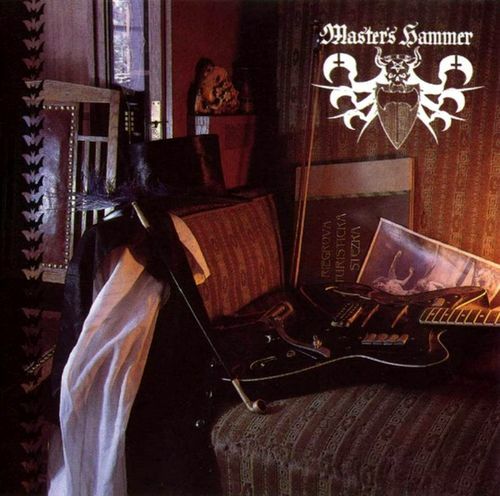 Hmm while I sit here listening to Master's Hammer hmm I wonder if playing that within the house would be classed as incurring the wrath? Morris dance is a form of English folk dance usually accompanied by music. It is based on rhythmic stepping and the execution of choreographed figures by a group of dancers. Implements such as sticks, swords, handkerchiefs and bells may also be wielded by the dancers. In a small number of dances for one or two men, steps are performed near and across a pair of clay tobacco pipes laid across each other on the floor. Claims that English records, dating back to 1448, mention the morris dance are open to dispute. There is no mention of "morris" dancing earlier than the late 15th century, although early records such as Bishops' "Visitation Articles" mention sword dancing, guising and other dancing activities as well as mumming plays. Furthermore, the earliest records invariably mention "Morys" in a court setting, and both men and women are mentioned as dancing, and a little later in the Lord Mayors' Processions in London. The term is derived from moorish dance, attested as Morisk dance and moreys daunce, morisse daunce in the mid-15th century. The spelling Morris-dance appears in the 17th century. Comparable terms in other languages are German Moriskentanz (also from the 15th century), French morisques, Croatian moreška, and moresco, moresca or morisca in Italy and Spain. By 1492 Ferdinand of Aragon and Isabella of Castille succeeded in driving the Moors out of Spain and unifying the country. The description Moors has referred to several historic and modern populations of Berber, Black African and Arab descent from Northern Africa, some of whom came to conquer and occupy the Iberian Peninsula for nearly 800 years. At that time they were Muslim, although earlier the people had followed other religions. They called the territory Al Andalus, comprising most of what is now Spain and Portugal. "Moors" are not a distinct or self-defined people. Medieval and early modern Europeans applied the name primarily to Berbers, but also at various times to Arabs, Muslim Iberians and West Africans from Mali and Niger who had been absorbed into the Almoravid dynasty. Mainstream scholars observed in 1911 that "The term 'Moors' has no real ethnological value." Wesley’s Methodist Church was fundamentalist and evangelical. It targeted those working class people in the new industrial towns, who were not reached by the older Parish Churches of the C. of E. . The religion was plain, basic and un-snobbish. It drew the workers away from the idea of revolutionary violence and promoted resignation, obedience to the law, thrift and industriousness….all virtues that would effectively help their capitalist oppressors to go on oppressing them. The rapid growth of Methodism took place against the backdrop of the Industrial Revolution. This was an era marked by the increasing poverty of the workers, who laboured in dreadful conditions, and the increasing prosperity of the mill and factory owners. Between 1700 and the end of the century the population rose by some 4 million. It is maintained among historians that were it not for the Methodist revival England might well have experienced a revolution among the working classes similar to that taking place across the channel. Fortunately by then, as Howard Snyder points out in his book 'The Radical Wesley', "the people called Methodists seemed to be everywhere, a renewing force within the Church of England, committed to proving in experience what the church professed in doctrine, not only offering God to all but also the power of God for transformed living in all who believed". A problem that has exercised historians for many years is, put in its most concise form: why was there no revolution in Britain in the 1790s? The question is a significant one here, because religious factors have formed an important strand in the answers that have been given. The intellectual trend was set by the publication in 1913 of England in 1815, in which the French historian Elie Halévy (1870–1937) argued that the growth of Methodism in this period was a key factor in the British avoidance of revolution. Later scholars gave their attention not only to Methodism but also to the role of the wider Evangelical movement, including Wilberforce and Evangelicals within the Church of England (e.g. V. Kiernan, 1952, ‘Evangelicalism and the French Revolution’, Past and Present, pp. 44–56). In 1984 the view was again advanced that ‘evangelicalism… may, at least for some, have averted a potentially dangerous build-up of frustration and political discontent’ (I.R. Christie, 1984, Stress and Stability in Late Eighteenth-Century Britain: Reflections on the British Avoidance of Revolution, Oxford, Clarendon Press, pp. 213–14). The scholarly debate here is too complex and protracted to develop here. Nevertheless, some points are worth highlighting with respect to the discussion of Wilberforce’s writings. With the installation of the Central Bank of England in readiness for the Hanoverian Black Guelphs to take charge of the newly formed financial centre of the moneylenders and traders in human slaves, to form the solid foundation from which old school Christian France and then onto the new world America could be demolished in revolution and civil war...they required absolutely no revolt in England. Wesley and his Lutheran bile would satisfy this requirement as it has kept the Englishman placid and filling the ranks of the banking empire's armies believing they were civilising the world. This mind job today still has the power to have our soldiers invade nations without any sound revolt by the people of this once great nation. We have become tamed by the shadow empire as it parades as Christianity while annihilating any and all peoples who wish to remain free of the shackles of the Hamurabi Code. Intelligence is cleaning up the internet of any and all people who are not allied with Alex Jones, David Icke, Lord Monckton, Brian Gerrish and affiliated lost souls. They want only scripts as presented by the same to be available on the internet to ensure the Evangelical Alpha Lodge construct is never seen to be the real weapon of the moneylenders. All of the above make no mention of what is going on in the schools which is the real problem, for when they have all the newly programmed minds in positions of power and filling the ranks of the military, both International and domestic juntas, as was achieved under Hitler...the older minds get absolutely no look in when it comes to the shift to all out dictatorship. errr.... any evidence for this? Yes, I agree that Icke particularly is see as someone ho is easy to dismiss because he has said some rash things. But the others? Yes this must be evidenced. Mmm, I think I have presented enough in your demands for answers my good man, so I will place this back in your court and ask you prove to the contrary.... I will leave that running but expand on the issue. Marlborough Research Group has let loose a lot of scripts which the Queen of England and the banking cartel she represents are to use if they can achieve the critical mass, to move for the dissolution of the peoples parliament and place this nation under her corporate crown position, as opposed to the constitutional office. This move will shift the Constabulary into their unconstitutional role as corporate officers, we will have a full blown corporate dictatorship under the Contingency system. I think most on here Life are aware of the/a bigger picture, but just because Tony Farrell may have been or is a Methodist churchgoer does not mean he is not an honest individual. And you can dig up stuff to ridicule anyone; even you were a freemason mystery school.... and are still anti Christian (Not wanting to even look at the real message of Christ and those Laws) but just point out what most already know about organised religions. Mmm, but you do have a point, its all so obvious most are in love with the so-called crown. Andrew my dear chap that is quite a statement about little old me and my failing to understand the message of the man, his message was clearly his action, for he wrote nothing down. Why do I need to study words when I know what his message was? Feel free to present evidence to support Farrell as a god guy, or more to the point, evidence that shows the South Yorkshire Police are not using him in order they can play the good cop in this event, as opposed to their role playing bad cop over the fantasy that is Hollie Greg. politicians today do what the cabinet dictates, it's the cabinets that are corporate crown puppets which then forces all our politician's to act contrary to their office. I presented a court case on June 21 this year against the DWP as the facilitator to the corporate takeover of our civil systems. The case also asks for clarification as to the judiciary enforcing corporate statute law over our common law while still remaining within their oath, that they need to clarify as to how this could be so without declaring that the corporate empire is part of the Queens realm, and why the Inland Revenue are not receiving a tax take from this empire as their oath clearly mandates to the enforcement of laws within the realm of Queen Elizabeth II. Yes I take your point as most here would, I would think. But its early days yet and I don't know what he may or may not do. No you don't or you would not write the things you have written in your many posts. The case also asks for clarification as to the judiciary enforcing corporate statute law over our common law while still remaining within their oath, that they need to clarify as to how this could be so without declaring that the corporate empire is part of the Queens realm, and why the Inland Revenue are not receiving a tax take from this empire as their oath clearly mandates to the enforcement of laws within the realm of Queen Elizabeth II. That’s another Intel game "common law" used by the like of tpuc, uk column etc. their version of common law is case law and the magna carta, bill of rights year 16-- and such nonsense. And then go on to say that the courts etc are acting against the queen (that never was) and crown. Circular nonsense. And since when have taxes been Lawful? (Taxes were always unlawful in Gods Law) taxes were usually to fund wars and buy/pay soldiers etc, to make earthly Cesar’s, Kings and despots etc more rich and powerful. A little different now with credit issued/withheld and all from thin air. So all good deeds are punished and all bad deeds are rewarded’ with that issuance. common law is as you say case law. This means if you bring a case in common law then the judge must seek out a case as close to the same as your case and judge in the same manner. What I have found is the corporate crown has slowly but surely placed contract cases as precedent over the older land law cases. This has the knock on effect that what were our common law rights of the subject, are now replaced with contract law which removes all rights from the citizen and places the corporate as king as the holder of a bigger wallet. Money is the god of the Evangelical-Zionist elites. Magna Carta was indeed a commercial contract, it removed the rights under god to rights under the barony for the people, and as you know I am no lover of it. I think you miss the point a little over the Jesus thing, you are all reading words written by everyone save the man himself....room for error is absolute, mistranslation abounds, and of course when a script can be used to justify mass slaughter and the selling of slaves, then the written word is not always the most reliable source. Let's keep this on topic please Andrew, this is an important issue. I would like to make one thing very clear, it is not all people who happen to be of the Methodist theme, but Methodism as a construct since it's conception has served the money men by keeping the masses busy, poor, yet content in their religion. As with all institutions, if the top is bad then everything by nature of hierarchical pyramidal structures can but serve the top and its real agenda, in spite of individual morality. Which shows it as nonsense because all cases are different and should be judged as individual cases. I know and you made that point earlier. They too should be seeking. Then if you were interested you would find a copy that is not mistranslated. As God says it would reach those who sought it. (Unless you like the masons and Zionist are just atheist like I know most people are, even many Christians are when you speak to them.) And don’t think a divine entity, God can make sure it does reach those who seek it. The 1611 KJV has enough to show the Laws and that slavery etc is bad. What I have found is the corporate crown has slowly but surely placed contract cases as precedent over the older land law cases. They are both wrong and unlawful. Collusion was defined in the inquiry as, “the failure to keep records, the absence of accountability, withholding of intelligence and evidence and the involvement of intelligence agents in murder.” The inquiry “faced obstruction from its very first day from members of the security forces opposed to the inquiry”, and there was a “possibility” of the withholding of evidence being sanctioned by some levels of government. In 1992, Fulton warned his handlers in both the FRU and MI5 that “his IRA mentor Blair was planning to use a horizontally- fired mortar for an attack on the police. His handlers did nothing. Within days, Blair fired the device at an armoured RUC Land Rover in Newry, in the process, killing policewoman Colleen McMurray. Another RUC officer lost both his legs.” Fulton split with the IRA and the FRU in the mid-90s and claimed to have been set up by the FRU to be discovered as a mole since he had “outlived his usefulness.” The idea was to have him discovered so that the IRA would “believe they were free of informers.” Meanwhile, “the army had secured a far more highly-placed mole within the IRA,” codenamed Stakeknife. In 2007, it was reported that the FRU had changed its name to the Joint Support Group (JSG) and was active in Iraq since the US-UK invasion in 2003. JSG agents “are trained to turn hardened terrorists into coalition spies using methods developed on the mean streets of Ulster during the Troubles, when the Army managed to infiltrate the IRA at almost every level. Since war broke out in Iraq in 2003, they have been responsible for running dozens of Iraqi double agents.” Interestingly, in 2003, the former head of the FRU in Northern Ireland throughout the Troubles, Brigadier Gordon Kerr, had “been sent to the Gulf to head up British spying activities in the Middle East” and went on to head the JSG in Iraq after the occupation. Below we have some rather strange events and charges against the company for which Mr Farrell was finace manager (presume to mean finance). Can anyone come up with a reasonable explanation for this list of outstanding charges? Unilever's portfolio includes the fragrance licences for Calvin Klein, Cerruti, Vera Wang, Chloé and Lagerfeld. Coty also purchased UCI's manufacturing and distribution outlet in New Jersey and a distribution unit in France. Is this Anthony Farrel of Abcom Services, (private security firm) the Tony Farrell who is now being courted by the truth movement, with seemingly endless support from all the usual suspects? Director(s): ANTHONY FARREL, TONY ROBINSON, JAQUELINE ROBINSON. When it comes to understanding history, specifically religions, one has to study all religions, their history, and protagonists, for this gives you a wide vision as to how the world through its various religions progressed, and what kind of existence was created by each religion for the peoples. Outside all propagandas, it is the fruits of each system which tells the story. I would like to digress in an attempt to better present from where I, life... come from when I present information as to who is for the truth, as opposed to those presenting the script they call the new world order, with that I am not saying that those who are pushing the script necessarily know this to be the case, most have good intentions, but it must be understood the shadow gains power because it is expert in deception. To get to grips with what the new world order programme requires, you need to understand what the new world order doesn’t like, then and only then, can you act contrary to the same. All else opens the door to deception that what you are doing in your life is the correct action to bring about the 'act' we would all like this world to premier and run to eternity, balanced and respectful existence with a little competition to satisfy our energies. Take Tony Farrell as our example, you all resonate with his tale on an emotional level because you are in touch with your emotions and he is talking your language, this is a strategy called; ‘fire the emotional canon’, but you must dig deeper to reveal the total energy surrounding this man and his agenda before launching into his act. Diverting your energy is the aim. Charitable advertisements on the TV which show children in agony which gets the attention overriding the fact, the cameraman and crew sat and filmed the child in agony…. Money flows their way, its given energy without critical analysis. The two World Wars are the key to understanding what the nwo brigade need and how they achieve it, they need absolute subservience of the people en masse of each nation through first having control of the governments which is achieved through control of the money. The First World War and its aftermath was the means to full control of Germany financially, giving the ability to form the second need (control of the individual) which ensures the country moves in the desired direction, perhaps kicking and screaming, but it goes were they want it to go, the people have to go where the government leads. This achievement has only a short window before revolt takes hold amongst the people and begins to spread, so they position the governments in the scapegoat position while moving the corporate into the position of full financial control under contracts, once they reach this goal the governments are scapegoated and brutally demolished. To remove future and current rebellious behaviour they need to programme the mass of people into consent for behaviour contrary to their previous existence under their respective religion and government, this is were the pre-propaganda comes into play as they re-educate the children to their will, while the corporate dictatorship (fascism) keeps the older minds in check out of pure fear. It is WWII which exposes the fact the strategy I have presented thus far, is still not fully satisfactory to the nwo brigade, they require more control at individual level...here is were the medical and mind control experimentation comes into play which went ballistic under Himmler’s and his happy Frankenstein's in the concentration camps. To get back to the original topic of this post; 'what is it the nwo do not like', we have to shift into post war Europe, specifically Romania under the hammer of the USSR, yet we must parallel that with what is happening today in Iraq, Pakistan, and more than likely in the future, Syria, Yemen, and Iran amongst others. What the nwo do not like, in fact they hate it with venom, is the Christianity pre-reformation, Judaism pre Talmud, and Islam of the Shia. We have to understand this reality in order we can check our own hard held beliefs, to see for ourselves what we promote with our day to day actions, I repeat the term ‘WE’ as individuals, we and we alone acting as our own judge as to who and what we are in the now. There is something very different about those who profess Christianity today than those in times past, so different in fact the Christian of today needs to torture those with the old mindset because it prevents them from forcing you to their will and stops the nwo in its tracks. For me that difference is the understanding of morality, for no moral human could for a second support either by action or inaction the corporate dictatorship, yet Evangelical Christians are not only accepting this script they are happy to become the benefactors in it. So they do this because they believe they are the correct idea of what Christianity is...well look at the world today, I say Christianity is nowhere to be found in it save for the use of the term. I see the same for Jews under the Zionist Talmud Judaism and the same for Moslems under the Arabic Islam. So we have a clear demarcation between old and new, the new is torturing the old, the new is bereft of all morality...the new are an inferior model to the old, irrespective to how imperfect the old model was. The following is taken from the book; The Anti Humans and gives insight into what is not acceptable to the nwo and how they aim to get what they want, remembering this is going on in Iraq today so it presents to us what they are. What the new world order has as a requirement for its success, is to hate the old school Jew, Catholic, and Moslem...ask yourself at a deep level...is that you? From the beginning, at the time when the files of those who were to pass into "unmaskings" were compiled, students were divided into two groups according to their soul's strength or to the role played as members of the resistance organizations. The first category consisted of the less spirited students with an indeterminate record of activity, who thus were not good timber for the making of the "new man," but whose weakness was yet not sufficient reason to exempt them from unmaskings. They also were passed through the entire gamut of disintegration but usually with less insistence and not very extensive tortures. These were the ones who fell earlier than others when the question, "You bandit, have you decided to make your unmasking?" was put to them. Their number was not very large in relation to the total number arrested. They were named by the unmaskers gugustiuci, an ironic term meaning "wild pigeons," in other words, creatures not entirely responsible for their present plight. The second category, which gave the initiators many a headache although it suited their purposes better, included the more spirited, fanatical students, those who resisted a long time, those who had to be passed through a second cycle of tortures before being broken. These were called "Catholics. " One of the tests for the fanatical students was forced gymnastics, especially the semi-squat or "frog. " To touch the heels with the buttocks was not permitted, and the hands had to be held laterally the whole time, stretched out, or raised high above the head. During this semi-squat posture, the student had to raise and lower himself in time to a rhythm set by the re-educator by hitting on wood with a stick hours on end, uninterruptedly. Normally and without any coercion, a man in good physical condition can do up to fifty flexions of this kind, after which his legs begin to stiffen. The student A. D. from the Faculty of Letters in Bucharest, arrested in 1948 and sentenced to ten years, did in a single night, above the portable toilet, over one thousand. When he stepped down he still had the strength to continue; it was the fatigue of the rhythm-beater which stopped the performance. To what mysterious force can be attributed this physical resistance on the part of a man exhausted by malnutrition, sleepless nights, and the obligatory positions imposed on him in the days preceding this test? For this case is but one from among the hundreds of victims who managed to pass the one thousand-mark of such flexions without breaking down. Only strength of will, a manifestation of spirit, could thus temporarily overcome the body's fatigue and successfully control it. The student M. M., also from the Faculty of Letters in Bucharest, was subjected to the following procedure. After everything else had been tried on him, including beating till his body became almost insensitive to further blows, he was forced one day to lie down on the floor in the middle of the room. Other students, chosen according to their degree of "banditry" (i. e., resistance), were forced to lie down on him, one after another, until in all there were seventeen -- all those, in other words, who were in the process of unmasking in that cell at that time. On top of all then climbed the individual who was committee chief in the room. Under the pressure of all this weight the student could no longer control himself; the muscles of his abdomen gave way and everything that had been forbidden him to do over the toilet he did there in the cell. What followed enters directly into the domain of madness. Under the pretext that he had broken rules and dirtied the room, and that no washing of clothes is permitted outside a scheduled time, the poor student was ordered to clean his underwear by mouth. His refusal to submit to this command infuriated the committee chief so much that he grabbed a chunk of wood and crushed the student's fingers beneath it, then trampled the student underfoot till he became unconscious. He then had water brought to restore consciousness -- water which had been refused earlier for cleanliness. The student's head was then knocked against floor and wall and he was dragged around the room by his feet until blood flowed out of his mouth freely. Finally he could no longer resist. In the face of such pain there can be no hero. The student A. O. of the Faculty of Theology, one of the most "fanatical" mystics in the cells of Pitesti, was forced to move his bowels into his mess-pan, then to receive his meal without being permitted to wash it. What he had to suffer until his resistance and abhorrence broke in him, is difficult to describe. But in the end he had to yield and to eat everything in the dish. 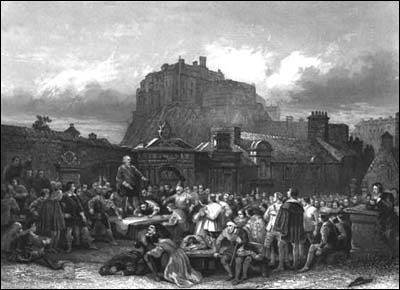 Prisoners were obliged to stand on their feet without so much as moving a muscle. They were forced to wipe the floor over and over for whole days at a time, carrying two, or sometimes three other prisoners "piggyback" as they pushed the cleaning rag. Heavily tortured were those students who, unable to endure any longer but also unwilling to yield, tried to commit suicide. Such attempts, however, were made almost impossible by preventive measures taken by the re-educators and the frequent inspections by O. D. C. C. committees and by the administration. Besides, there was practically no object with which to commit suicide. Still, some cases of its having been tried are on record. Those who failed in the attempt were tortured as were also those suspected of contemplating suicide. The student R. M. at the Poly-technical School of Bucharest had kept his spectacles in the cell as a result of his own honest mistake and because of the committee's lack of attention. One day, as he was being beaten, they broke his glasses. R. was forced to pick up the pieces, under blows, and to reconstitute both lenses. Although he searched a long time, he could not find the last small piece. Accusing him of having hid it in order later to commit suicide, the student, Diaca, of the Faculty of Medicine of Iasi who was charged with his surveillance, beat him in such a manner that R. urinated blood. Nobody was troubled by this and no doctor was summoned to look after him. The student C. S. of the Faculty of Law of Cluj, endowed with an amazing capacity of resistance, finally came to realize that he could not hold out much longer and decided to commit suicide. But how? He could find nothing at hand. In desperation he ate a pound of soap kept under the bed for writing declarations! As he later revealed to me, even though the soap was made from petrol residue, he suffered not even the slightest intestinal upset! A student of the Faculty of Theology of Timisoara, N. V., after failing to die from slashing his wrists, thrust his head into the food barrel, hoping to die burnt from the hot meal. But this, too, failed, and at enormous cost to him. He was beaten until his lungs were dislodged, and when he shared the same cell with me five years later, he was still suffering from that painful infirmity. All because he failed to kill himself. Many were those who tried to cut their veins with a scrap of sheet iron found somewhere, or with wood chips, or pieces of glass, or tried to crush their skulls against walls, etc. There were also some who tried to sever their arteries with their own teeth. That is why every effort was made to prevent such "sabotaging" of the "campaign of unmasking. " The student Gheorghe Serban, from the little town of Murfatlar, was arrested in Bucharest in 1948, condemned with a large number of others and sent to Pitesti where he was subjected to the usual unmaskings. One day, however, as he was taken out into the hall, he succeeded in ending his torment by jumping from the prison's third floor down the stairwell. When those from whom he had escaped reached the ground floor in panic, Serban had passed into the other world, uncompromised. The measure taken by the administration to prevent such a thing happening again was to stretch wire nets between floors. At the same time surveillance inside the cells was intensified, and fresh inspections, this time made by prison guards under the supervision of the prison's director, Dumitrescu, emptied the cells of everything that could possibly serve as a means of suicide. Endeavours to call the administration's attention directly to their situation were made several times by those enduring the tortures, but the administration remained deaf to all complaints. Not only did it not respond as hoped, but on the contrary took harsher measures against those that petitioned. They were put through what was called a "supplementary unmasking. " Some examples of this follow. The student A. R., who had performed a thousand flexions crouched over the toilet, following several weeks of tortures, and though knowing what was in store for him, one evening at closing time broke out from the second row where he was being supported by re-educators, and stepped out in front of Director Dumitrescu, who had just arrived to take the "counting. " A. R. reported everything going on in the cells and requested Dumitrescu to intervene with his authority as director and order the tortures ended and the torturers punished. He also said that he personally did not intend to make any kind of unmasking, that he knew the reasons for his imprisonment -- which he did not regret -- and consequently he should be left in peace to serve his sentence out, to decide for himself what he thought detrimental to society. The director listened attentively, simulating complete surprise. He answered that he did not even suspect such things, such atrocities, were taking place. He could say this with effrontery because although there were some among the "unmasked" present who had been beaten by the director himself in Room Four, they could not speak for they were no longer their former selves. It was too late to do anything about it that evening but Dumitrescu promised to attend to this matter next day -- which he did: he sent Turcanu into the cell to take revenge on A. R. for his indiscretion. Another student, U. S., taking advantage one day of the door's being left unlocked by a careless guard, escaped from under the bludgeon and darted out into the hall intending to get to the main office or even the director's office. But to his surprise, he collided just outside the door with the director himself! Dumitrescu had been looking through the peep-hole to check on what was going on inside the cell. The student requested him in strong terms to intervene in the cell and establish order, and demanded that he be taken before the political officer who was the real director of the prison. Taken aback, the director could not avoid saying something, so, to get rid of the angry student faster, promised to ask the officer to see him. The student had to get back in the cell, where he received appropriate punishment. The next day, called out early, he was taken not to the political officer but to Turcanu, who during the interrogation toyed with a sharp razor in his hands. "You told the director that if he would not excuse you from the unmaskings and take you to see the political officer, you'd do anything in your power to commit suicide. Do you have the courage for such an act? Look, I want to help you. Here is an ordinary razor. Take it and commit suicide. But here in front of me, now. " And he stretched out his left hand, offering the razor. "A ray of hope engulfed me," the student told me later in another Romanian Communist prison. "If I had gotten hold of that razor for even a second, I could have cut his throat. I could have found that much strength if I succeeded in catching him off guard, then I would have killed myself. But nothing I hoped for happened. The moment I reached out to take the razor, Turcanu pulled back his left hand and with his right struck me under the chin such a blow that I fell flattened to the cement floor. He was powerful as a bull. Then he jumped on me with both feet. How long this lasted I do not know, as I passed out during this part of the 'interview. ' When they took me out of the bathroom -- for all this took place there -- three of my ribs were broken. The scar formed afterwards will remain with me to my grave; the broken ribs will permanently keep the imprint of Turcanu's feet. " And to convince me of this he had me touch the broken ribs under the thin yellow skin. Not only were these things all reported to the director, but the chief guards of the prison, Ciobanu and Mandruta, received innumerable verbal reports of such atrocities. Mandruta always swore and cursed and slammed the door as he left saying this was none of his business, while Ciobanu merely shrugged his shoulders and said nothing. Later, in Gherla prison, I shared a cell with Ciobanu's father-in-law, but in telling him of these atrocities, he could not believe that his son-in-law had ever been a witness to them as he had never breathed a word at home about such things. During the two-year experiment at Pitesti, perhaps he had had to go through a "school of threatenings" to get the job at all, in the interior of the prison, and was afraid to tell of anything going on. But the guards, at any rate, were only the facade to conceal the real authors of this villainy, the politruks of the Communist Party. Resistance in prisons depended naturally on the factor of moral order. As long as he could retain self-confidence, the student defied his re-educators, though passively. I know several hundred of the students who passed through unmaskings at Pitesti, having spent years living with them in various prisons. I studied them under all aspects both before and after the unmaskings, and I hold the firm conviction that at least fifty of them would have stepped calmly before a firing squad, thus sealing their creed with the supreme sacrifice, before the Securitate arrest and investigation. Who is not familiar with the capacity for sacrifice of the Romanian youth in the war against Communism, willing to die, even after the Communist occupation, in resisting it? The Legionaries Puiu Constantin, Florescu, Spiru Obreja, Serban Secu, for example, who were executed on order of the Military Tribunal of Bucharest in 1950-51, knowing they were to be killed, refused to sign a petition of pardon presented by a special envoy from the Ministry of the Interior. Eighteen others arrested in the Fagaras Mountains had the same fate in the summer of 1958. During these eight years, all over the country, people were shot by the hundreds, with or without being sentenced, and died bravely. I knew before my own arrest many students who were members of resistance groups and fled to the hills, where they were pursued but fought the Securitate forces till they fell; few allowed themselves to be taken prisoner. But those who got to Pitesti, collapsed morally. What accounts for this change in behaviour? Perhaps those who were still free to dispose of their own lives, preferred to die at the hands of the enemy; while those who were captured, finding themselves no longer free even to kill themselves, therefore collapsed. But the intensity of the drama and the terror that dominated this period will never be known. "What we lived through there," said one student, whom I had known long before any arrests, and who had passed through unmaskings as one of the most fanatical, "surpasses what the human mind can imagine. Language is inadequate to completely convey what everyone of us would have to say, even if we could say it. " Hungry, tortured, humiliated for weeks and months on end; sleepless, terrified, terrorized, struck by him who but an hour earlier had been his friend and brother in chains; forced in his turn, through the threatening of Satan, to become a torturer of others; without the slightest hope of escape; isolated from the world by a curtain of steel; brought to the edge of the grave but denied the privilege of dying -- of such was comprised the calendar of a student subjected to this experiment of de-personalization. In short, he was subjected to the "ethics" of the Communist Party. Under such treatment, I believe no man could successfully resist. Let me give two examples pointing up the difference in reaction of two students under two investigations, one after arrest by the Securitate, the other later at Pitesti, during unmaskings. When being investigated, the student had, as did any other detainee, several elements in his favour: he knew he would be arrested, he knew the methods of the investigators, and he knew the Communist to be a foreign element, a stooge of the Bolsheviks, whom he must confront. In other words, this meant a confrontation between two forces, the one Romanian, the other the foreign element of occupation. Because the Securitate arrested large numbers of persons at one time, and space was limited, they could not always give individualized attention to each prisoner nor did this concern them; they knew that the Pitesti Experiment would take care of the details. Their main concern was to get a confession, true or false, as quickly as possible, and send him before the military judge for sentencing. The student Alupoaei, a former detainee of the Antoneseu regime, was arrested in the summer of 1948 and accused of subversive activities against Communism. He was investigated at the Iasi Securitate by officers Fischer and Pompilian, but despite all the torture to which he was subjected, they got no compromising declaration out of him. Their report to the Ministry of the Interior after several months of intensive investigation still was the same -- they could not detect subversive activities by any youth organization in the Suceava region. But at Pitesti, after the regime of unmasking, Alupoaei told everything he knew, betrayed everything! Another student, Gh. Cucole from Constanta, was also arrested in the summer of 1948. He was interrogated by a long-time Communist, Campeanu, who had fought in the International Brigade in Spain and was now a colonel in the Ministry of the Interior. (He fell into disgrace later and was treated as he had treated others. ) Cucole's torturer was a Lieutenant Botea, a Bulgarian waiter considered one of the most brutal and cruel men in the entire Communist police force. (Botea was later arrested himself. ) Cucole was kept in chains for months with only half a pound of bread and a cup of water for his daily food. Depositions by colleagues or friends who had been active with him were placed before him, but he denied them all. While he was incarcerated, his sufferings day after day were noted by a fellow prisoner, Major X, who told me about him at Aiud in 1951, speaking of him as of a hero. Cucole never did give the Securitate the confession they wanted, so he was finally condemned to prison on the basis of depositions from others. He was sent to Pitesti, and there he talked, revealing not only what he had done but also what he planned to do, whom he considered an enemy of the regime, and whom he suspected of subversive activity. As a result of his declarations, more than 60 Macedonians were arrested in the Constanta region and in Bucharest. D., a student from Iasi, who was in the same cell, told me later that during Cucole's unmasking he had to be wrapped three days and nights in wet sheets to keep him alive after the day-long tortures by Titus Leonida and Turcanu. I myself met him after the unmaskings, and I did not recognize him. Not only was he not the man he had been but something in his very mind was shaken. I do not think there was a single student who declared everything under the Securitate investigation. Everyone kept some secret, greater or smaller; but at Pitesti prison, no one could resist. The number of those arrested as a result of testimony given or extorted at Pitesti during the unmaskings was at least 3000! Was anything left unrevealed at Pitesti? Very little, and that only because it was known only to the individual under investigation. For if there existed the slightest suspicion that someone else knew the secret, the one being tortured hastened to tell it lest the other beat him to it and he be passed through unmaskings for the second or third time. Since students were usually active in groups, it was difficult to keep anything back when one knew that if the same system was being used in other prisons, a dossier would be compiled from declarations made by fellow students incarcerated in Aiud, or Gherla, or somewhere else. And no one coming to Pitesti from other prisons was ever able to warn the students or tell them what was happening in the other prisons, as new arrivals were isolated immediately; first, so that they could not transmit news from the outside world to those undergoing unmasking, and second, so that the new arrivals could not receive any kind of warning of what was in store for them before their turn came. Those who dared to conceal some detail, however trivial, were found out -- a month, or a year later, -- and had to pass a second or even a third time under the bludgeons of the torturers. And each time the unmasking was more Draconian because the individual had continued being a "bandit. " Nothing that two or more knew could be kept secret, for each would tell it, having no way of knowing whether the other had already told it and had become in his turn an unmasker. An infernal cycle from which there was no escape! There is, for example, the case of student T. from Bucharest's Faculty of Medicine. After he passed through unmaskings and had convinced the O. D. C. C. that he had told everything he knew, somebody from another room revealed facts he had withheld. "This is the time to listen to me. I can no longer stand it; I must speak to you right now. If you lose this opportunity, you will not get anything out of me even if you skin me alive with a razor. " Turcanu naturally took advantage of this psychological moment and listened. T. told him everything, absolutely all that up to then he had managed to hide, and which was infinitely more revealing than what he had told in the two earlier unmaskings. Several years later he said, "I cannot understand what happened in my soul that I should have volunteered to talk that time, especially when I was sure the O. D. C. C. had come to the conclusion that I had already revealed everything. " A second case was that of Teodoru, a medical student at Cluj. He was passed through unmasking, tortured, and considered "irrecoverable" even though he willingly did and said all that was expected of him. But when the unmaskings were over, and the terror of "re-education" had lost much of its virulence, Teodoru switched to the other extreme, becoming one of the most dangerous denouncers, with not the slightest excuse for this change of attitude, this strange new viciousness. And even stranger things happened, which might explain the numerous Moscow trials that resulted in the liquidation of all those considered Stalin's personal enemies. Crimes were invented, not by investigators but by those being tortured by the investigators. A prisoner, hoping to be spared further torture by convincing his unmasker that he had revealed everything, the whole truth, would resort to lying, and invent things that could never have taken place, not even in his imagination. The Polytechnical student O. O., arrested for failing to denounce anyone during the first phase of his unmasking, invented and made up from bits and pieces an entire subversive organization into which he grouped, besides his own classmates, almost all the instructors, the tutors, lecturers, even a few professors, making himself, naturally, the leader. Many, fearing further torture at first, but later out of a new-found desire to "restructure and re-educate themselves in the new spirit" (in other words, sheer madness), tried to prove their "sincerity" by giving the names of their parents or relatives as members of an organization of their own. All verbal declarations were recorded on soap tablets and forwarded directly to the O. D. C. C. Special Investigations Office, where they were transcribed and all declarations from the beginning were screened, compared, and fine-combed to find any minute discrepancies in reports from two or more individuals relative to the same fact. If the screening turned up discrepancies of any importance to the Securitate, each prisoner involved was called in to the office, made to put down his declaration on paper and sign it, after which it was sent to the Ministry of the Interior through the political officer. As you can see, the Ministry had no official contact or concern with what went on at Pitesti; in fact, the information thus extorted was only incidental to the real purpose. For no matter how useful the students' revelations might become, there must be no let-up in the torment. The state of torture must continue for the simple reason that continuous physical (and resulting moral) terror is indispensable to the flawless functioning of conditioned reflexes reflexes that will go on functioning automatically long after the subject of the experiment has passed through the fire and become himself a torturer of others. The author uses "Bulgarian," "Hungarian," etc., to refer to the family background of an individual, even though he may have been born in Romania. This has been common practice in Romania -- to distinguish ethnic origins. "Feel free to present evidence to support Farrell as a god guy, or more to the point, evidence that shows the South Yorkshire Police are not using him in order they can play the good cop in this event, as opposed to their role playing bad cop over the fantasy that is Hollie Greg." "Yes I take your point as most here would, I would think. But its early days yet and I don't know what he may or may not do." "Self" hurting is it Life, can't let it go. I don’t idolise any person Life (it’s in the Commandments.) Although the Commandments also include all the Laws, not just the 10 that most organised religions speak of, misrepresent, alter and/or ignore. On the BBC programme Sunday Morning Live, the big question they are asking on the back of the Murdoch fiasco is; "is the UK corrupted". They of course speak about Murdoch but are shifting the gameposts to the police and MP's. The NoW publishes a story about Prince William's knee injury, prompting fears that his aides' phone voicemail messages are being intercepted. Complaints by three royal staff members spark a police inquiry. Schillings law firm, in a PDF document titled 'Super Injunctions', are clear that the incident re Prince William's phone being hacked has been a key motivators for their use of Super Injunctions. For instance, in 2007 a private investigator and the former royal editor of British tabloid, the News of the World, were jailed for plotting to intercept personal voicemail messages of Prince William and Prince Harry. What was particularly interesting were that the stories themselves were completely anodyne, such as Prince William having a minor knee injury, yet the journalists were still prepared to break the law to obtain them. Three years after the convictions, following the New York Times’ expose on the matter (note it took an American publication to shine a light on the conduct of a British tabloid), the News of the World confirmed that it has suspended a journalist while it investigates new phonehacking claims, despite claims the Royal phone hacking incident was a one off. Thatcher, Blair / Brown and now Cameron - Clegg, all kow towed to Murdoch handing him power in our media and TV, see Carlton, ITV, Sky, Channel Five ad infinitum. Marlborough Research Group is the brigade within the truth movement. Life wrote "Feel free to present evidence to support Farrell as a good guy,"
Is that not of a strawman arguement. Can you support evidence that you are a good guy? Do you not think Life that there are other people out there who may hold the same convictions of truth and honesty that you seem to espouse. If i met a person who was involved in Farrells job, who had the same wishes for honesty and truth that I value and who comes out with the statements he made regarding 7/7 then i would welcome his comments. I do not see my role as operating individual personal attacks, though of course in order to achieve my aim, in most cases, has humans attached to it. This is not so much about Tony Farrell, it is the strategy above most of these events which needs to be grasped. The best thing one could do for Tony Farrell, if indeed he is a good chap doing as he must, then those within the truth chasing media would serve him best to blow the usage of such sentiments by those who wish to demolish this countries entire foundations. I can see your point but the script this will add power to is the real monster we need to worry about, Mr Farell's feelings will sort themselves out be he good or not.